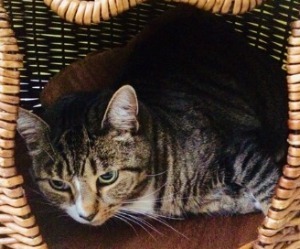 Lady is an affectionate short haired tabby cat. She is a nervous but gentle, homely cat, who loves to sleep on the bed or curl up on your lap. She has previously lived with an older lady so would prefer a quiet home.